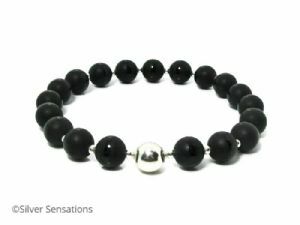 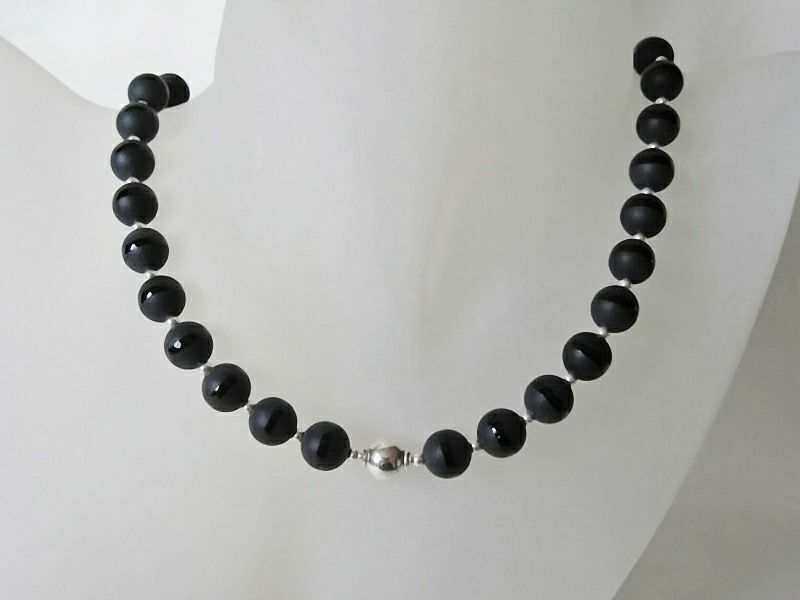 This lovely necklace has been designed & hand made using unusual frosted 8mm Black Onyx round beads which have a glossy stripe running around each bead. 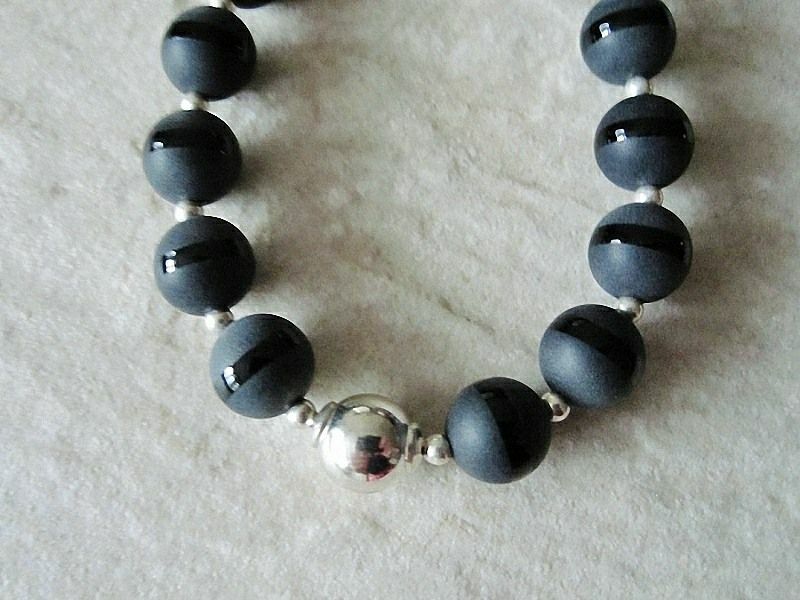 There are Sterling Silver seamless beads between every one of these semi precious gemstones. 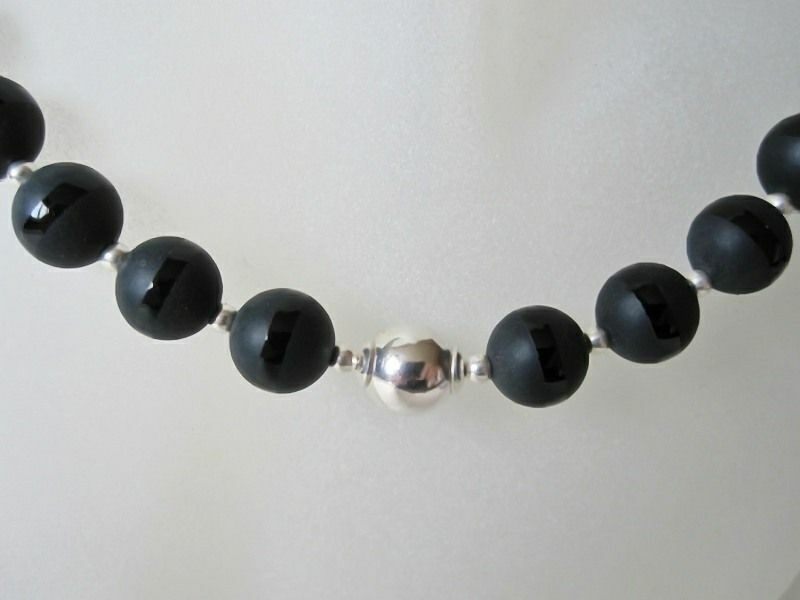 The focal point of the necklace is an 8mm Sterling Silver seamless bead with a plain Sterling Silver bead cap at each side. 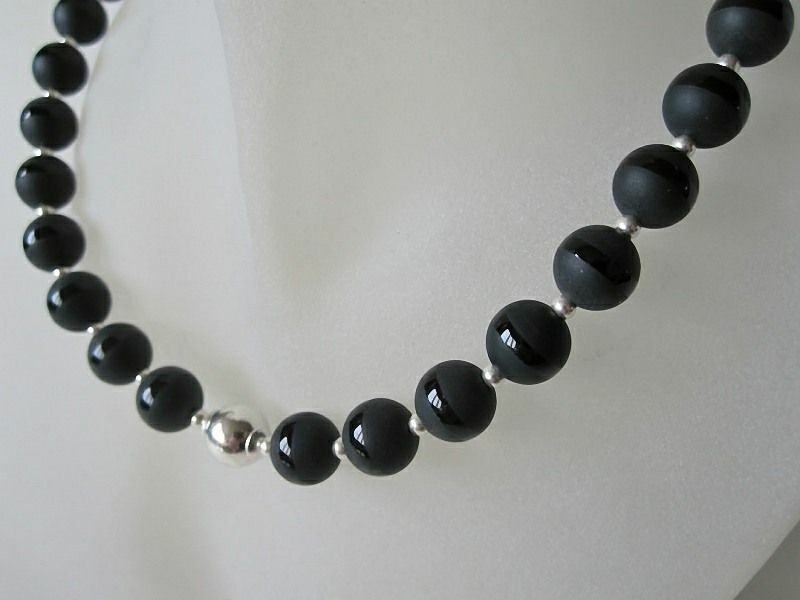 This necklace is 18" in length & is finished with a Sterling Silver bolt ring clasp & fittings. 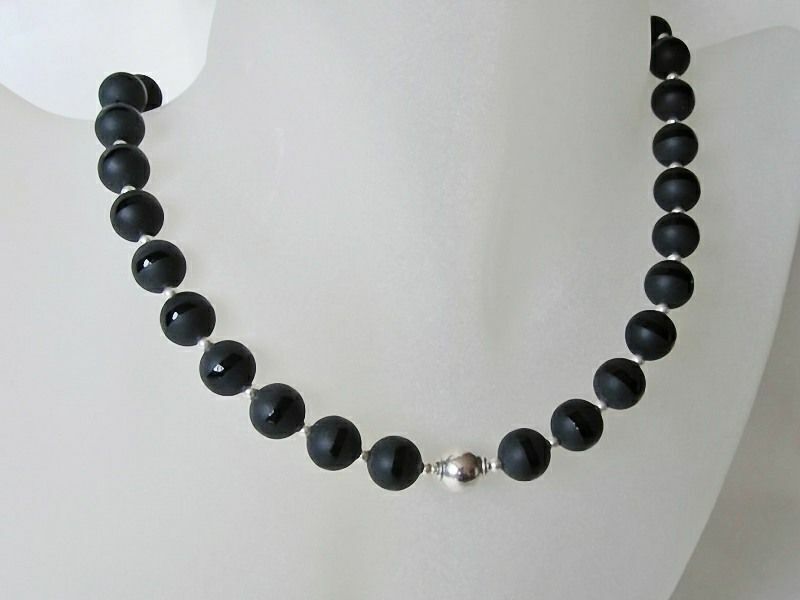 This necklace has a real designer edge & will look fabulous with most outfits. 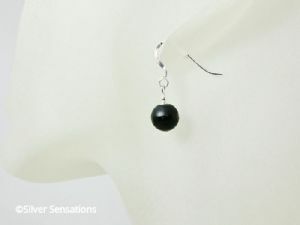 Matching earrings & bracelet are also available.